Bi-Mart has been a Northwest tradition for more than 60 years, with more than 75 stores in Washington, Idaho and Oregon. Bend’s Bi-Mart is conveniently located just minutes from downtown and the Old Mill District. The store is easy to shop and offer real values every day on name brand products, from the groceries on your everyday shopping list, to supplies for your next home improvement project or automotive maintenance needs. Be sure to check out the extensive sporting goods section, which has everything you need for your next adventure in the great outdoors; fishing poles, water toys, coolers, clothing and more. Bi-Mart also has a full wellness department, including over the counter medicine, natural remedies and a pharmacy to fill your prescriptions. 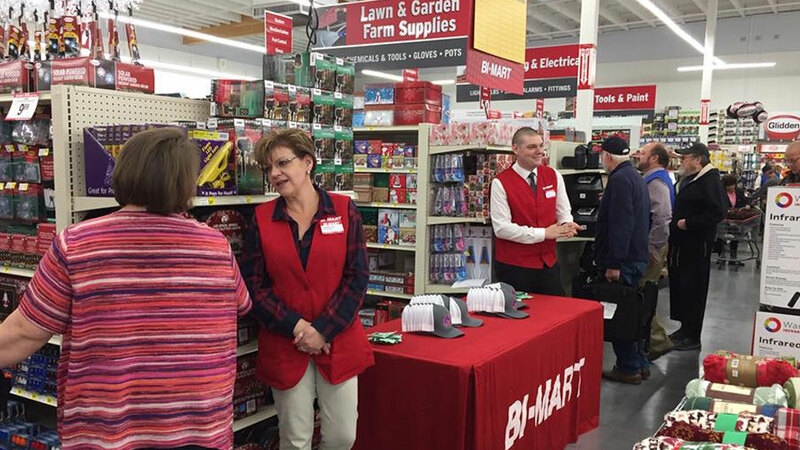 Bi-Mart has a long history of giving back to the Bend community by supporting charitable organizations and worthy causes and their goal is to create more value for members in the store and in community. Whatever is on your list, come in and see why Bi-Mart store is place customers can count on to save money week-in and week-out.